Private Bass Guitar tutoring lessons Windermere, FL. My students will master proper bass technique while incorporating the psychology of learning to efficiently progress their bass skills. 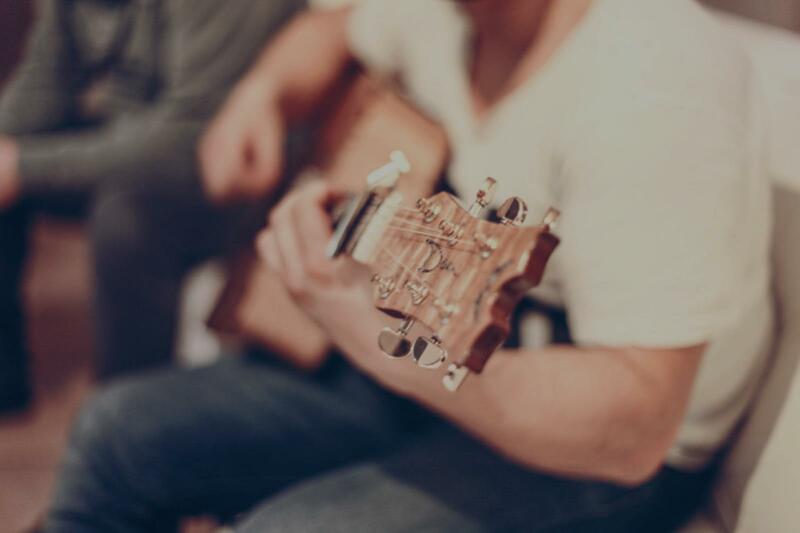 To build a well-rounded understanding of music through the bass guitar, our lessons incorporate several popular musical genres ranging from rock and funk to the fundamental roots of classical music. As the lessons progress, we will continue to bounce between the hemispheres of the brain as we incorporate different modes of thinking, memorization skills, and best practices proven by research to accelerate our growth as musicians. Drawing upon my experiences from the university, countless gigs, and extensive research, I’m here to help my students progress efficiently and become the bassist they deserve to be. All levels and ages 5+ are welcome. Beginners encouraged! ntless other bassists including Verdine White from Earth, Wind, and Fire). I was hired immediately out of college after earning my bachelors in music at the University of Wisconsin-Madison, and I enjoyed an early successful music career teaching general music to K-5th graders, and strings/orchestra to 5th-8th graders. My teaching career in Madison was short-lived as my fiancee was attending graduate school for clinical psychology at Indiana State University and I moved down to Indiana to start my life with her. Our path took an unexpected and stressful turn when my fiancee was diagnosed with fibromyalgia, and a large portion of my efforts have been directed towards addressing her needs. In order to keep a flexible schedule where I can be available to assist her at home, I decided that teaching private lessons was the best option. I knew I needed to solidify my musical knowledge and skills to consider myself a progressive one-on-one teacher to motivate and guide my students with precision. Following my fiancee's diagnosis of fibromyalgia and the sudden hiccup in my career after moving away from my orchestra teaching job in Madison, I had to act fast if I were to support both of us through my music. I began my rapid progression of improvement by first studying the psychology of learning. While I found several books in addition to my notes from my education classes at the University, I'm forever grateful for my fiancee who answers all my psychology-related questions despite her busy schedule. Once I had a firm grasp of how someone can sharpen and hone their mind to efficiently learn new concepts and build upon growing knowledge, I put the psychology of learning to the test in my own music practice. Although I’ve been an active musician and bass player for fifteen years, I’ve seen more growth in my bass playing in the past year than during my five years studying bass at the University. Now, here’s where YOU fit in! I remember being very proud of the fact that I was “self-taught” in my younger years; however, I now realize how much time was wasted by teaching myself inefficient techniques and mediocre practice habits. Drawing upon my experiences from the UW-Madison School of Music, countless gigs, and my research digging into the psychology of learning, I’m here to help you progress efficiently. I'll leave you with a cliche, yet sincere question: how long are you willing to wait to become the bassist you want to be? Thanks for your interest, and I hope to hear from you soon. n and he creates lessons and exercises based upon what I am having trouble with. He also always throws in some thoughts or ideas for me to think about to help me to become better. Having taken piano lessons with several different instructors for 5 years, I can confidently say he is indeed the best instructor ever."